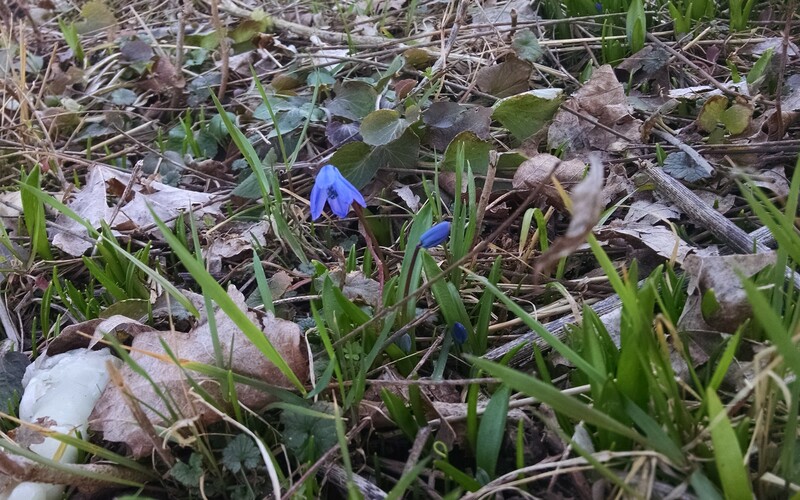 Spring is emerging all around, from the chorus frogs and red wing blackbirds calling from the wetland to the wildflowers emerging in the woodlands. 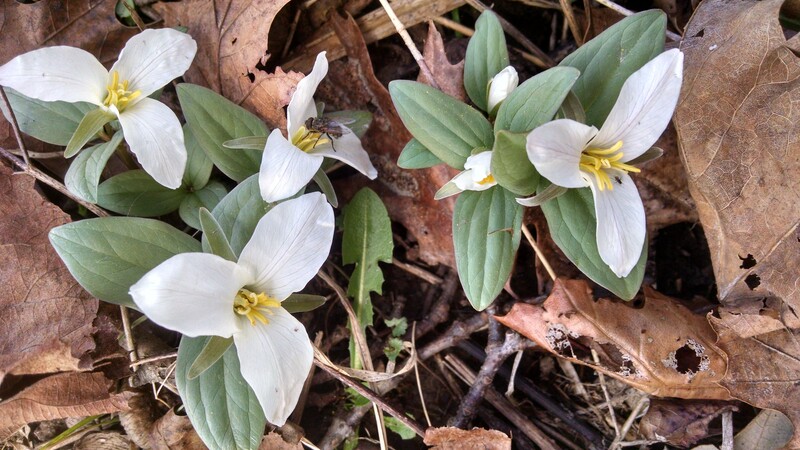 Snow trilliums are the first of the spring ephemerals blooming this year. They are as important to the spring pollinators as the pollinators (in this case, a fly) are to them. The squil is also just starting to bloom. While not native, it is not posing an invasive problem here. As more of it blooms, it will provide a critical source of pollen for the honeybees. 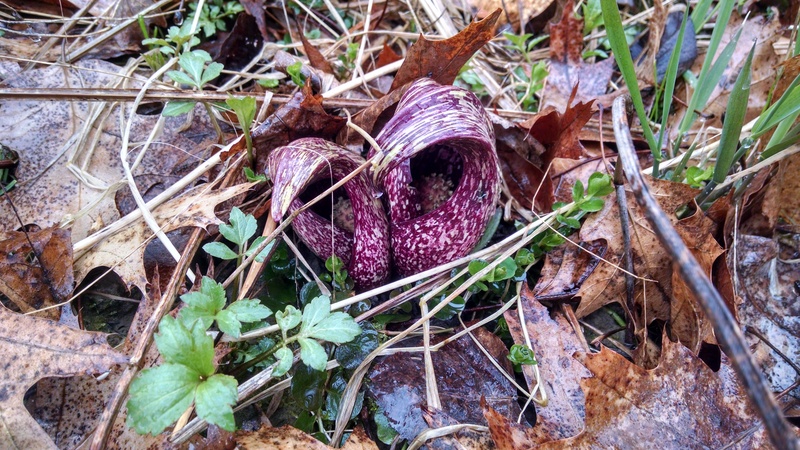 The skunk cabbage are just emerging up Bena Brook. < Previous What’s in a ceiling? Next > What’s in a wall?